Stonebridge signs largest office lease deal of the year. 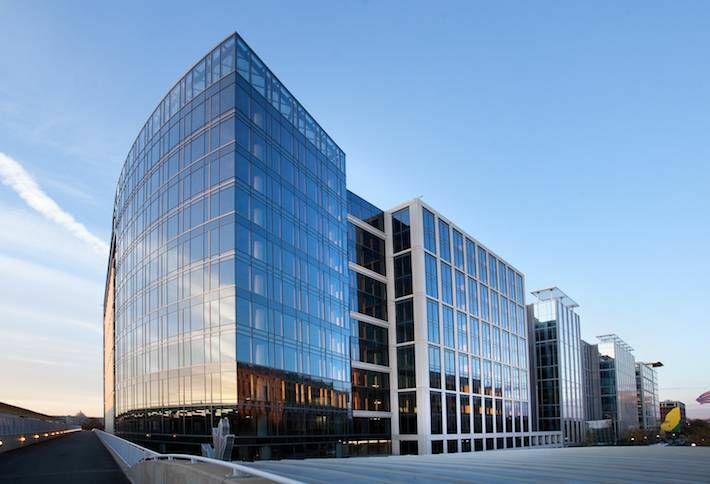 StonebridgeCarras hooked the biggest fish in DC so far this year, signing the Department of Justice to 839k SF to occupy two full buildings in NoMa. Three Constitution Square has sat empty since it opened in 2013, when principal Doug Firstenberg expected to fill it with private tenants. But over the past year, Doug’s been laser-focused on the DOJ, which also signed the lease that kicked off the 2.6M SF Construction Square complex, seven years ago. When complete, Constitution Square will include the Harris Teeter-anchored residential building Flats 130 (since sold to TIAA-CREF for $295M), the Hilton Garden Inn (sold to Magna Hospitality Group for $42.3M) and four office buildings. The DOJ was the first tenant signed in the entire development, pre-leasing the 600k SF Two Constitution Square in 2008. One Constitution Square, 350k SF at the corner of 1st and N streets NE, is occupied by the Consumer Finance Protection Bureau.